For invisible hearing aids in Burton, Dove Hearing have the most comprehensive range available in Staffordshire. We stock world leading brands such as Widex, Lyric, Siemens and many many more. Hearing loss can be a sensitive issue, but with invisible hearing aids it is no longer an issue. They offer complete discretion and are virtually undetectable to the human eye when worn. They are also equally powerful as their analogue counterparts and come with a rechargeable battery. Here at Dove, we understand hearing loss is a distressing condition but there are plenty of solutions to deal with it. An invisible hearing aid sits deep in the ear canal and offers total discretion. They can be worn for extended periods and are extremely comfortable. 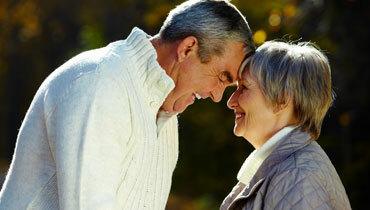 We design each hearing aid specifically for your ear to achieve maximum efficiency. They are invulnerable to weather conditions such as strong winds and you will have no problems using the phone. Dove also offers invisible hearing aids for fantastic prices, often at 50% less than our national competitors who are usually sponsored by one or two brands. Not only do we stock an incredible range of invisible hearing aids, we also offer a completely free hearing test. This will be able to determine the severity of your hearing loss and let us know the best way to deal with it. We will guide you through the range to ensure you find the perfect hearing aid. You can visit any one of our shops based across Staffordshire for a free consultation or to take a look at the current range. Alternatively, you can contact us directly here and one of our friendly team will be more than happy to assist you.